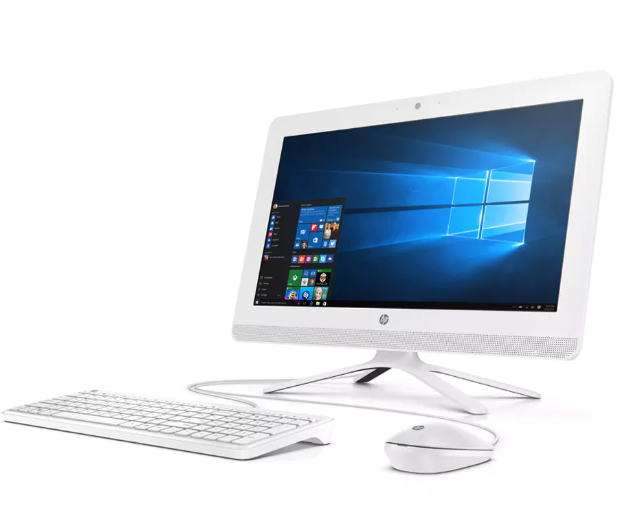 This HP 20″ Intel Celeron 4GB 1TB AIO will help you get work done and stay entertained when you’re in the office or at home. Binge watch entire seasons of your favourite TV shows wherever you are – with 1TB Hard disk drive (HDD) of storage you can store it all on your computer so you’ll always be entertained. Browse the internet, send emails and play music all at once thanks to this HP notebook’s Intel Celeron processor and 4GB of memory that lets you multitask without slowing down. This HP notebook’s Windows 10 Home 64bit English operating system allows for fast start-ups and lets you confidently tackle computing tasks. The HP 20″ Intel Celeron 4GB 1TB AIO is a great solution for getting things done or enjoying some entertainment.